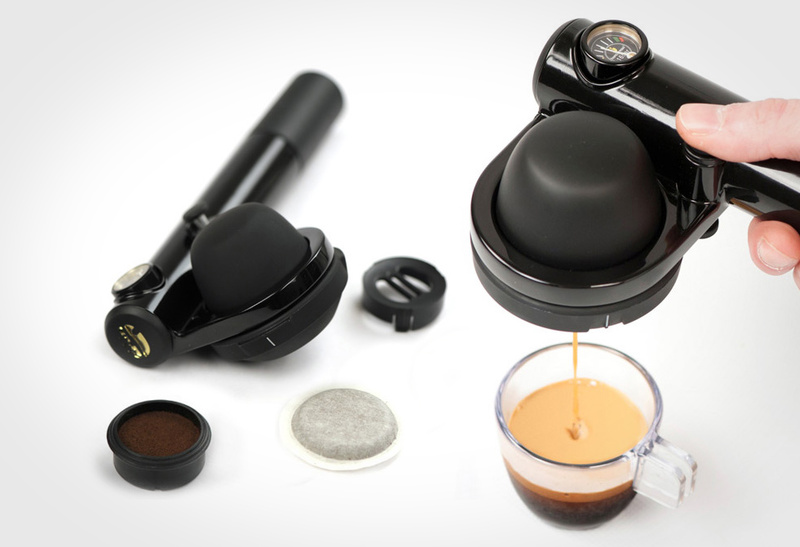 Your morning ritual is designed just right with the Anza Coffee Maker. 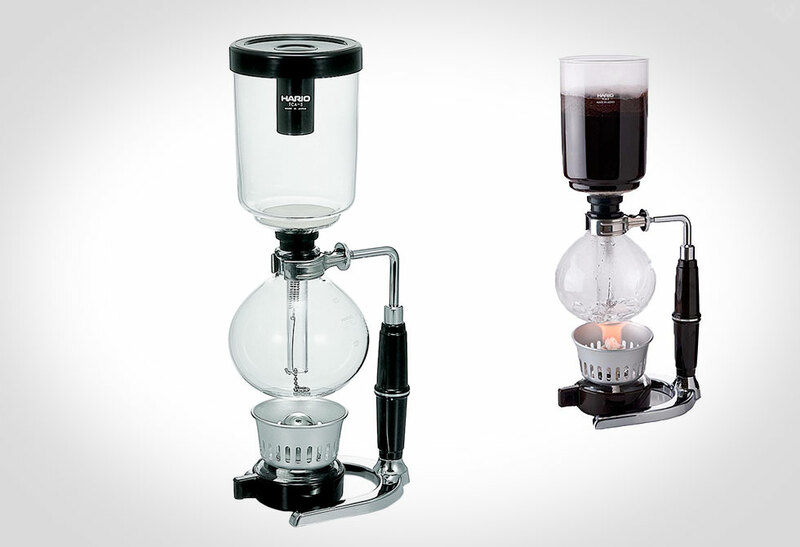 There is nothing quite like waking up to the smell of freshly brewed coffee. Starting with opening the bag, to grinding the beans, to the sounds of the machine, and of course that first sip, makes my morning. 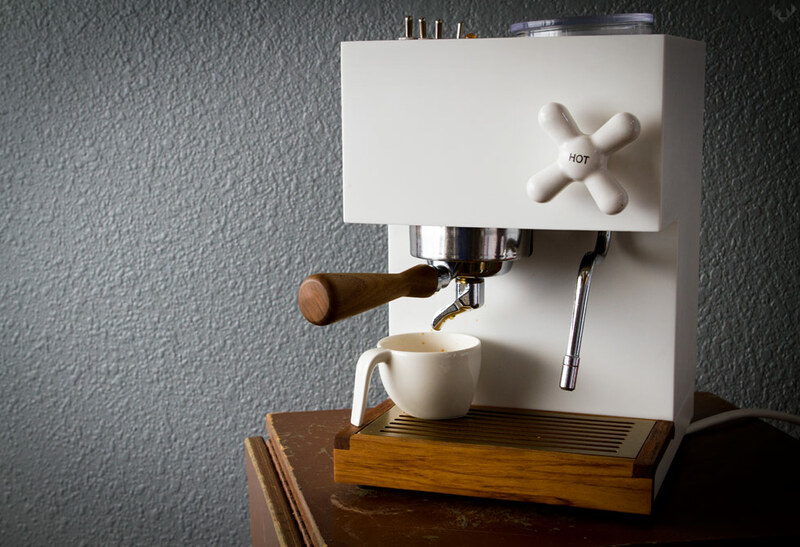 One thing missing is that many of the espresso/coffee machines forgo essential visual design, something that’s important to me. 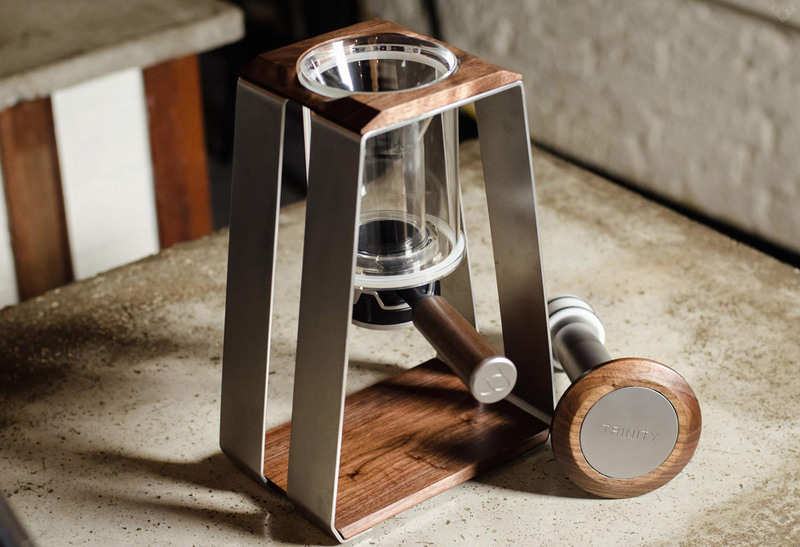 Since many of us also enjoy well-designed pieces that buck the norm, the Anza Coffee Maker makes perfect sense to those of us who devour great design. 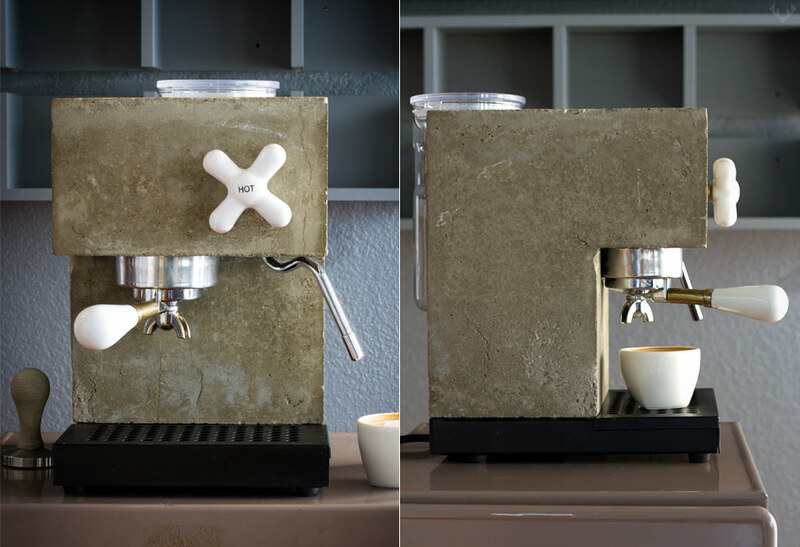 Its stunning minimalistic design is paired with materials typically not associated with small appliances such as concrete (one of our favs’) and Corian. 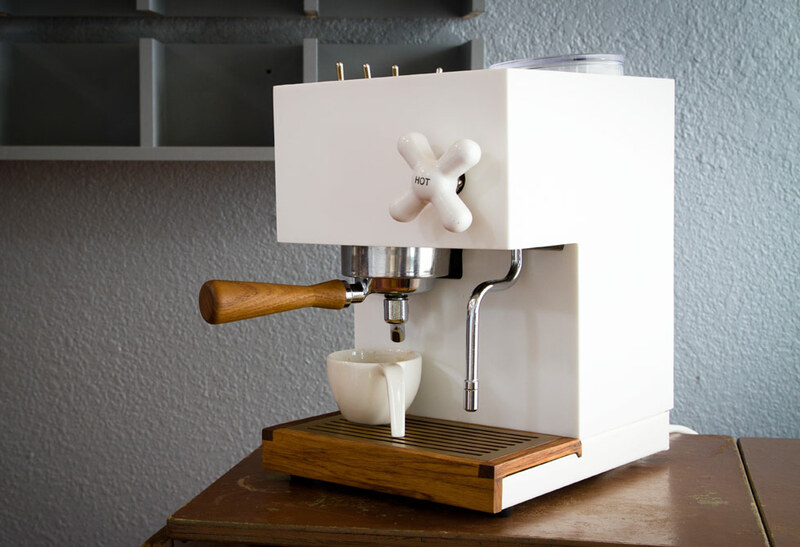 In addition to that, the Anza features a quartz or copper top, Ceramic “Hot” steam-control knob, a Ceramic or Teak portafilter handle, either a powder-coated steel/copper drip-tray, glass water tank, and to top it off, a concrete tamper. The Anza is built to order, and retails for US 2650 which is a small price to pay for design with presence. We had a chance to sit down and chat with Per Selvaag, the lead designer of this magnificent beast with an impressive resume that includes former Lead Designer at BMW Group, Chief Designer of Peugeot’s concept car division, and Ford in Detroit: I’ll let him give you a little more insight into why he ventured into the world of coffee. Enjoy! Per: My background is in industrial design, I used to design cars for a living I used to work for BMW in Munich, and I also used to work for Ford in Detroit, and I worked for a French manufacturer in Paris, and then I wanted to learn new things to I started my own firm, to put it in a cliché I wanted to expand my horizons, so that’s what I’m doing at the minute. I went to design school in England for seven years, and my intention was to go back to Norway where I’m currently at and my office in Berkley but I also have an office here and I’m just spending a little bit of time here before I head back to Berkley. LumberJac: Are you originally from Norway? Per: I grew up here, I was actually born in Korea but I was adopted and raised as a Norwegian (laughs), so I am from Norway. LumberJac: Can you tell us about the transition from automobile design into this project, We’re very curious. Per: I think automobile design is all about understanding your target audience, so if you work for a brand like Ford, their products exist in a very different context to a company like BMW and the difference is the emotional components, and if you look at cars that have wildly different prices, and even so, cars are cars, but what I feel I learned from working with different brands around the world was to appreciate the context. As a Scandinavian person we have a strong appreciation for clarity and honesty and we like things that are unadorned and uncomplicated in many ways and straightforward, and this is a real honest Scandinavian look at design, very different from the design of a car. I felt that I really wanted to get this expression out, and a relatively mundane everyday object I wanted to strip it back even further, our relationships with it to become so basic and functional and honest that it actually transformed itself. 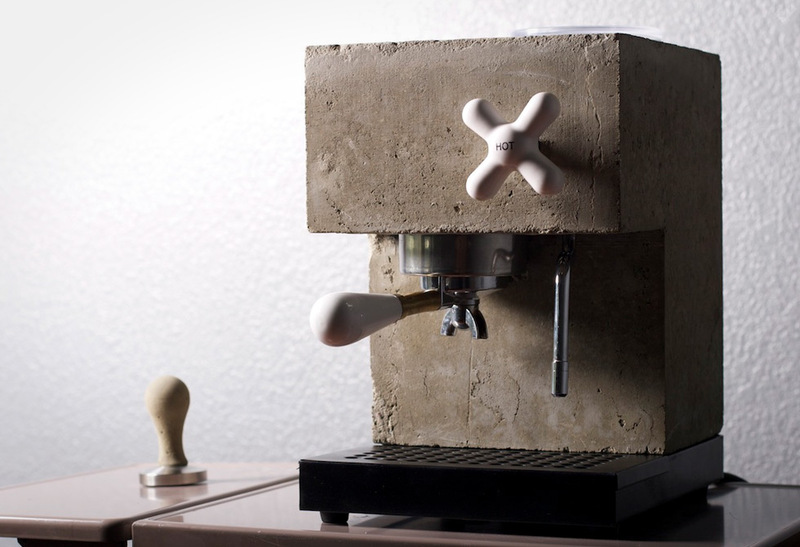 It went from being a fairly well developed industrial product to something made from a material that people have been playing with for hundreds, if not thousands of years, concrete or cement, and it went from being an appliance to being arguably, almost like a sculpture in the kitchen, and it did by going backwards rather than forwards in the refinement process. LumberJac: What is your relationship with coffee? 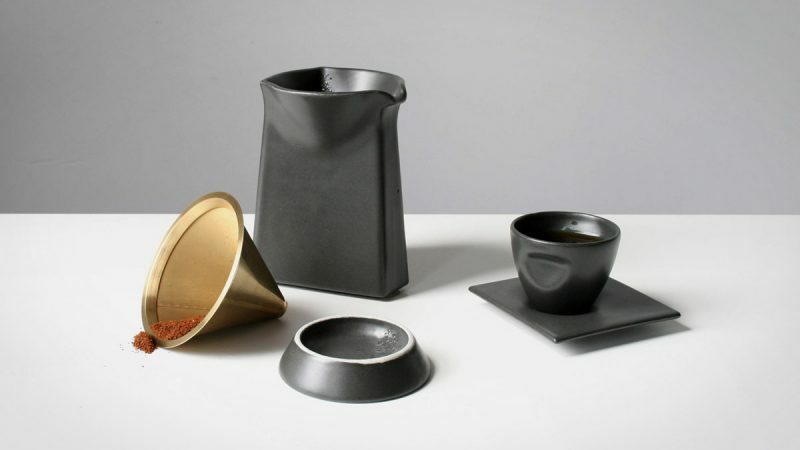 Are you a coffee fanatic? Per: I really like coffee. The thing about coffee that is so great is the universality of it, and the fact that everybody enjoys coffee, or most people enjoy coffee in their own way. I’ve been pulled into this culture of coffee in the Bay area and like to observe it and dissect it, I like the composition of the many parts to the puzzle, some of them are basic and functional, like pure enjoyment of coffee, others are more cultural like the coolness factor that comes with coffee and coffee culture in the Bay area specifically. As a creative person I enjoy the fact that coffee is part of the creative conversation in the Bay, it’s something that’s on the top of everybody’s mind, people gathering at coffee shops and people developing palettes for coffee and people are making efforts to distinguish good versus bad coffee, I like observing all that stuff, and I do like coffee and I enjoy learning through living in the Bay area that coffee is not just the black drink, but more like any other sophisticated drink like wine where there are many nuisances to it and a refinement to coffee drinking that can be explored. 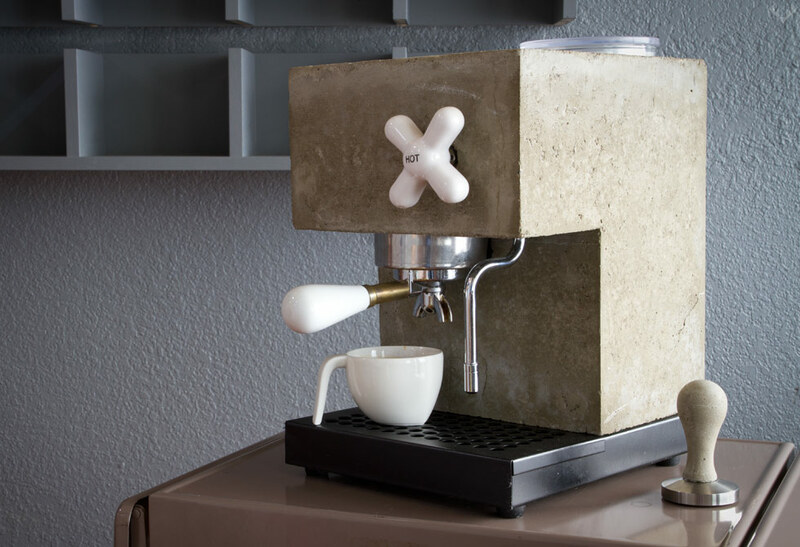 Per: Concrete has been around for a while, it’s not a new material or a novel material but I like the combination of well known things in a surprising new application, and that’s essentially what it is. You know a coffee machine, you know coffee, but you haven’t seen them together in this way. Honestly one of the reasons that we did it is because coffee machines are usually regarded as the mans domain in the house, women actually try and hide coffee machines away, it’s a guy thing as it turns out. They’re usually stainless steel that look like engines on the countertop, right? 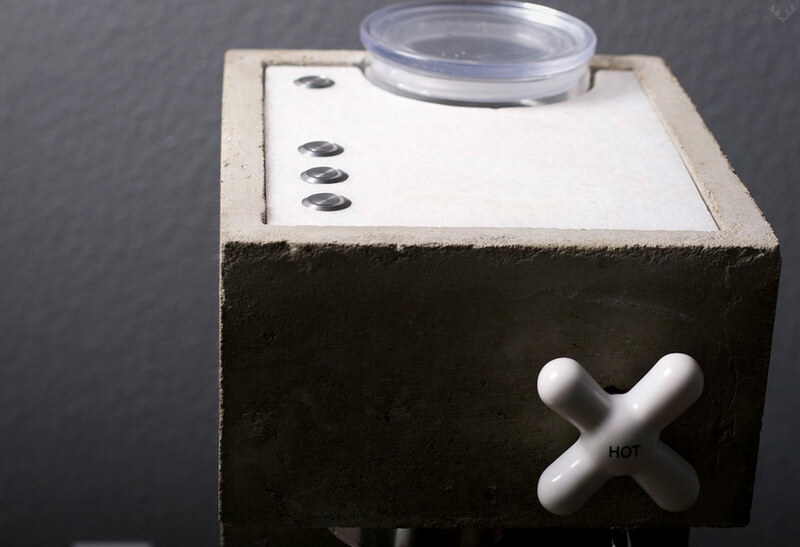 And what we wanted to do was to create something that was no longer just a machine, something that was beautifully simple, I use the word honest a lot, and it doesn’t get much more honest as far as materials go than concrete. It’s super unpretentious and pure, and yet people make temples to God from this, right? The best example of this is probably Tadao Ander’s church in Japan as an example of something so basic and humble can also have ethereal, and some people would say spiritual qualities because they’re so unpretentious. The machine is something if not unpretentious, yes some people might think it’s something for people who walk around in black polo necks and sip fancy wine. I just wanted to give it a different look, a different perspective on a coffee machine as an appliance in a kitchen. LumberJac: What is some of the feedback you’re receiving on the design esthetic? 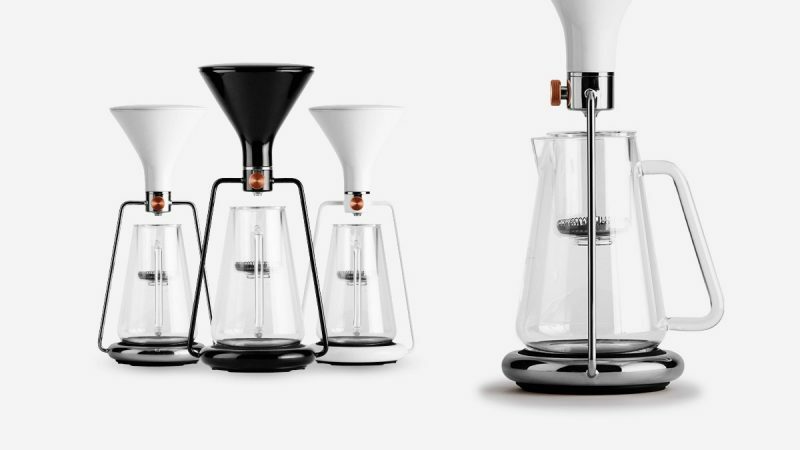 Per: It ranges quite a lot, I would say that normal people, and by that I mean people like my mother don’t always think it’s that amazing, my mother actually thinks it’s the most hideous coffee machine she’s ever seen. Typically from the creative types of people, amongst my own peers or people who take a lot of interest in design, architects for instance they really like it, but you know the real test is not what your peer group thinks, but the impact that it has on people who aren’t in your own niche. I actually designed it more for me, to be honest with you, it was a garage project, it was something I had in my system and I wanted to get it out, I was curious about it. I also did it with my buddy Sam, my coffee partner who is a coffee machine mechanic, and he and I put this thing together. LumberJac: That’s the beauty of doing something for yourself, the garage projects because you’re not designing it with anyone’s expectations in mind, you’re just doing it out of your own interest and passion, and that’s often where some of the most creative projects come out of. Per: That’s right, and a lot of the time it doesn’t resonate with others, but once in a blue moon it does. Sometimes people recognize that there’s something that appeals to them in it, but now always. LumberJac: Can you talk a little bit about the mechanics of the machine? 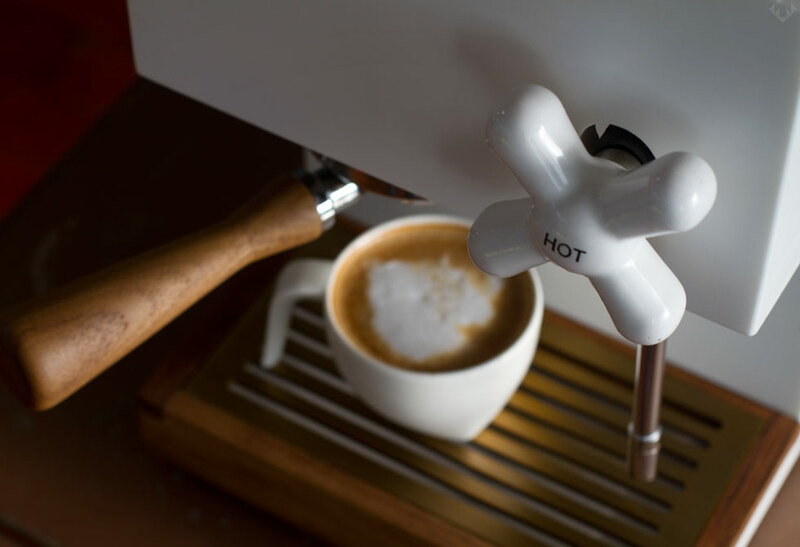 Per: It’s a single boiler, single brew head and a little chip to control the temperature, it has a PID function, not by a typical PID controller but we use a little computer to control it, the heat setting. LumberJac: Would you say it’s designed for heavy daily use? Do you guys actively use it in the office? Per: We don’t use it in the office yet because we’ve created a few to date and we’re still continuing to develop it. Have we made coffee with it? Yes we have, but we have another big machine for everyday otherwise we could. The only limitation is that it’s meant for a little household where people drink maybe 6-8 cups a day, in my office we probably make up to 40 cups a day or 50 cups a day so that little machine would be inadequate. LumberJac: You have to fuel the creative process somehow! So what does the future hold for Anza? Per: The future looks really bright! We have a lot of requests from people who are interested in buying it, to people who are interested in selling and distributing it, and we’ve had interest from Southeast Asia, Australia, New Zealand, Brazil, Latin America in general. The future looks bright so it’s up to us. If you like to purchase this fine machine, inquire at the Anza website.